A blend of Baco Noir, Leon Millot and Castel. 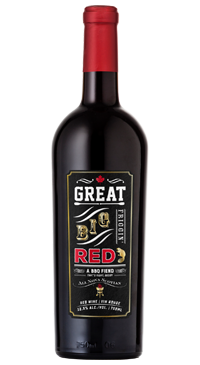 Supple, full and easy drinking, this wine was aged with Canadian oak and maple wood which gives it a distinct aromatic style (caramel, mocha, toast and maple). A perfect wine to drink alongside the BBQ.